For starters, it’s so important to work closely with your pastor – in any ministry involvement, but especially STM. Here are 10 reasons to keep your pastor in the loop when considering STM involvement. Our situation was rather unique. It was 2012 and I’d been involved in French ministry for several years. This included three 2-3 week stints in France teaching in their summer Bible School program (2009 – 2012). My involvement pre-dated his coming to our church as my pastor. In fact, I was in France on the Sunday that he came to candidate at our church (August 2012). Since we knew each other from the district, my involvement was no secret to him. Pastor Carter was elected and had been onsite for only a couple of weeks. I’d made it clear that I’d serve him as diligently as I’d served alongside our previous pastor, and that for as long as God allowed us to work together. I wasn’t intending to talk too much about what I’d been feeling until I’d spent a bit more time processing it myself. I hadn’t even discussed it with Liz at that point. What’s more, I didn’t want to give the impression that I was looking to leave just as he was coming on. One day we were at Wendy’s for lunch and he asked me where I saw my ministry heading in the years to come. There was an involuntary reaction and I got a bit emotional. There was no real turning back. We weren’t even a month into our working relationship! I expressed to him what I felt God had spoken to me that summer, but that there was still a fair bit of time ahead of us (The idea was that we’d come in 2015 – 3 years later – to cover the Brochu’s planned deputation). He was very supportive and as discussions progressed and things became more concrete, we planned to work closely together for the balance of 2012 and 2013. In 2014 he would release me to travel several weekends/month (while still being employed at the church during the week), raising support for our January 2015 departure. He has always been fully on board with missions. This is not surprising since (a) we’re from the Atlantic District, which is a strong missions district and (b) his sister is a missionary in Ghana. I should also say that, at the time, it was simply planned as a 2yr AIM term. This has since extended beyond that (and our level of funding allowed us to stay and the need was still there). It is still evolving to some degree… we are finishing up our third year. He has been an ongoing part of conversation about our continued work here – he remains aware of our plans. Work together: Not only in the lead-up to STM involvement. 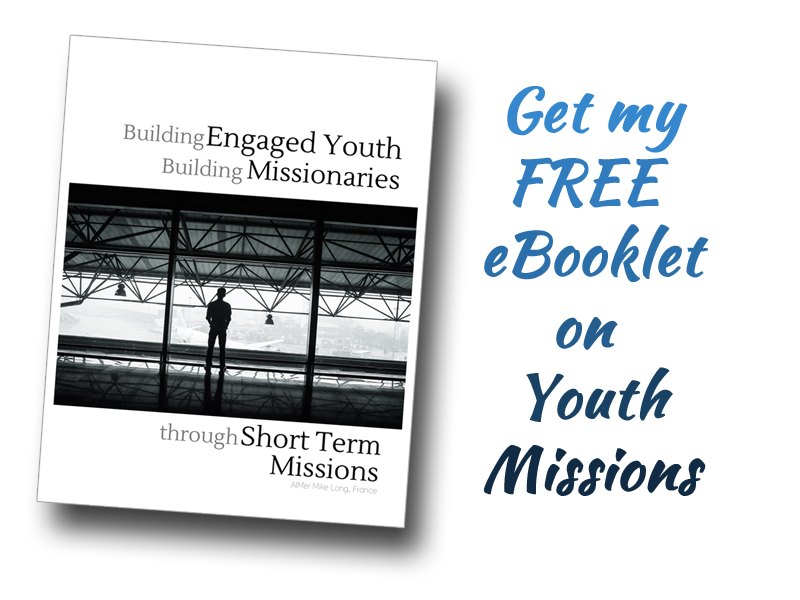 Your entire ministry service will allow him to be either confident in or hesitant about your ability to have a successful STM trip. Trust him: Remember, he’s the shepherd that God has placed over you for your spiritual well-being and growth. The Holy Spirit talks to him and will talk to him about your STM involvement. Trust God: The timing of our conversation caught me by surprise, but God was leading things and his timing was/is perfect. Be honest: You don’t want him to learn anything from anyone but you. I guess this comes back to trust. Work through details together. Be timely & patient: Don’t give him information at the last minute – requiring him to make snap decisions. He is best able to respond if he’s had time to process your request and talk to God about it. How ’bout you? What are some things you’d recommend about having that first chat with your pastor about STM involvement? Leave your thoughts in the comments below. Next Post: What’s the Purpose of STM? Someone recently asked me what the goal or purpose of STM was, generally speaking.